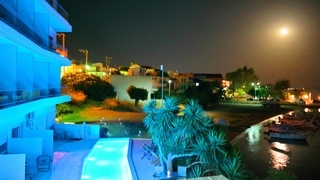 Andreas Villa offers apartments and studios with self-catering facilities. 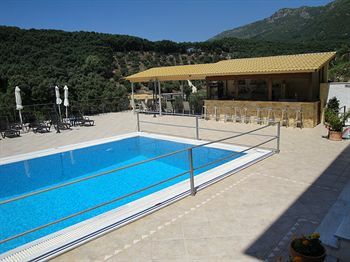 It is located only 200m from the centre of Ammoudia village and the walking distance from the sandy beach of Ammoudia. 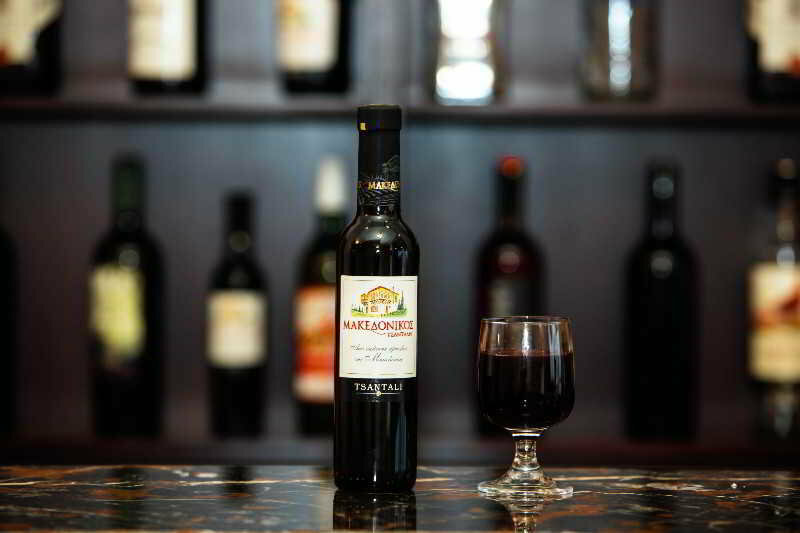 Cafes and taverns in the city centre are also within easy reach. Breakfast and Half board will be available at Ammos Bay Hotel. Distance from the Beach: ca 500mDistance from the Airport: ca 68km Distance from the nearest village/town: ca 200m from Ammoudia centreAdditional information: Cleaning: TBALinen Change: TBATowel Change: TBABeach description: TBABus stop: ca. 5km in Mesopotamos villageATM: ca. 600mThe images shown here serve to give a general impression of the hotel. The facilities may be slightly different from these examples as well as the names of the room types. This hotel boasts a prime setting in the enchanting surroundings of Messolonghi. Within a short distance of the hotel, guests can enjoy an array of shopping opportunities, dining options and entertainment venues, where guests are sure to find activities suited to their own acquired tastes. Within a short distance of the hotel lie a host of local attractions, offering guests ample opportunities for adventure and discovery. The hotel is elegantly appointed, inviting guests into a world of tranquillity and elegance. 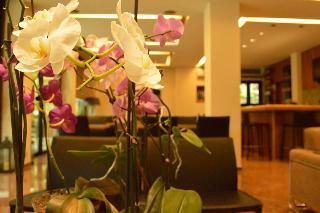 The hotel offers a seemingly boundless array of excellent facilities, catering to the needs of each individual guest. Elena Hotel Apartments welcomes you to beautiful Parga. The superb combination of the Ionian Sea, the architecture of Parga and the traditional hospitality will amaze the most demanding guest. 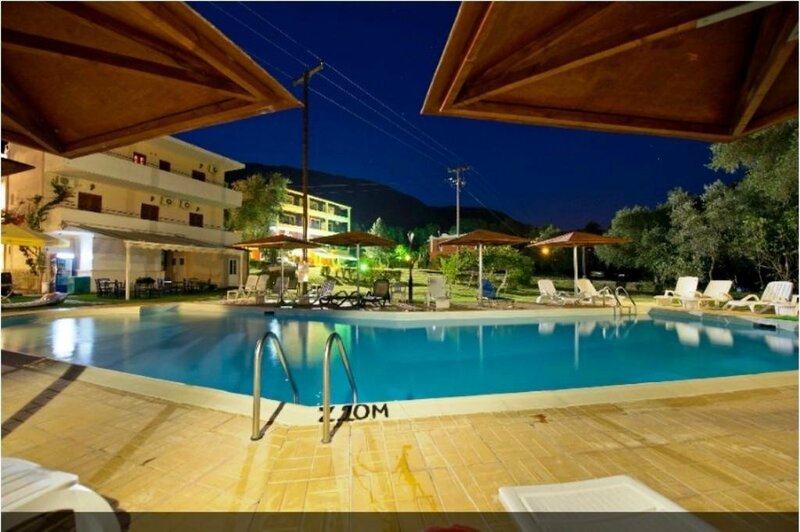 The property is situated in the entrance of the town Parga, while the city centre is approx. 300m away. You can reach the beach at 350m. Relax by the pool, enjoying a warm welcome from the friendly staff. Cool down with fresh juices next to the pool or enjoy unique cocktails during the evening. Alternatively, take a stroll on the beach and enjoy a swim in the crystal waters of the Ionian sea, admiring the breathtaking scenery. With a modern and elegant design that reflects energy and dynamism, this carefully designed hotel features its rooms in a complex of 4 buildings overlooking the pool or the mountain. Distance from the Beach: ca 350mDistance from the Airport: ca 65kmDistance from the nearest village/town: ca 300mAdditional information: Cleaning: TBALinen Change: TBATowel Change: TBABeach description: TBABus stop: TBAATM: TBA The images shown here serve to give a general impression of the hotel. The facilities may be slightly different from these examples as well as the names of the room types. Aristides Gardens are located in a quiet side street with a large grassy garden area. With the two town beaches of Piso Krioneri and Krioneri within a short walk and of course the town center itself. Aristides Gardens is perfect for those who like to be close to the towns amenities, but with the peace and tranquility of a quieter location to return to. These studios and apartments are located in the newer of the two buildings at the accommodation and the most recent renovations of the two upper floors have resulted in beautiful modern rooms for those who prefer a little added style. The rooms on the lower floors are basic but comfortable. All rooms enjoy the use of the large pool and sunbeds, snack bar and free wifi. Distance from the Beach: ca 800mDistance from the Airport/port: ca 65kmDistance from the nearest village/town: ca Additional information: Cleaning: TBALinen Change: TBATowel Change: TBABeach description: TBABus stop: TBAATM: TBA The images shown here serve to give a general impression of the hotel. The facilities may be slightly different from these examples as well as the names of the room types. Dimitra Hotel is a modern complex that consists of 25 spacious and bright rooms-studios appropriately furnished and equipped with modern conveniences to provide maximum comfort during your holidays. All spaces are designed to create an intimate and warm environment, where each customer enjoys calm and relaxing moments.Distance from the Beach: ca 30mDistance from the Airport: ca 35kmDistance from the nearest village/town: ca 30kmAdditional information: Cleaning: dailyLinen Change: every 3rd dayTowel Change: every 2nd dayBeach description: organized, private beachBus stop: ca 300mATM: ca 4km The images shown here serve to give a general impression of the hotel. The facilities may be slightly different from these examples as well as the names of the room types. The resort hotel Lichnos Bay Village welcomes you and guarantees you unforgettable, summer vacations in Greece. 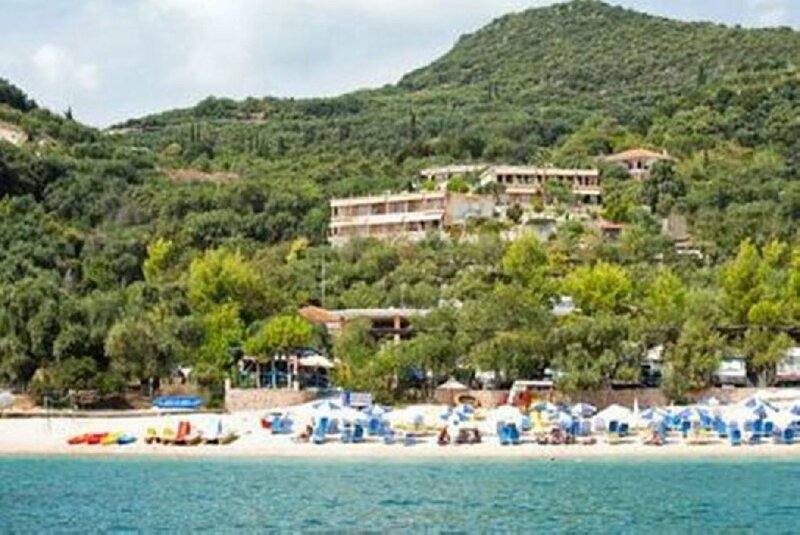 It is located on a green slope, above a wonderful gulf of Parga and boasts comfortable studios – apartments, with a panoramic view to the sea, surrounded by olive and lemon trees, ideal for nature and enjoyment lovers. Modern facilities and excellent services ensure a comfortable and safe stay. For dreamy, carefree vacations in nature, for families, children and adults, for endless dips in the clean Ionian Sea and idyllic sunsets, discover Lichnos Bay Village Hotel and you will become one of its fans. Distance from the Beach: ca TBADistance from the Airport: ca 49kmDistance from the nearest village/town: ca 3 kmAdditional information: Cleaning: TBALinen Change: TBATowel Change: TBABeach description: thick white sand and blue crystal watersBus stop: TBAATM: TBAThe images shown here serve to give a general impression of the hotel. The facilities may be slightly different from these examples as well as the names of the room types. Avand in jur o zona luxurianta de 6000 mae cu pomi fructiferi, Aristidis Garden ofera o piscina cu un snack bar la 900 de metri de orasul Parga si de plaja principala a acestuia. Are unitati de cazare in sistem self-catering, cu acces Wi-Fi gratuit si balcon privat.Oferind vedere la piscina si gradina, studiourile si apartamentele cu aer conditionat de la Aristidis au o chicineta cu frigider si plita. Fiecare unitate de cazare este dotata cu un televizor LCD cu canale prin satelit, o cutie de valori si un aparat de cafea. Baia privata include o cada.Oaspetii isi pot pregati micul dejun si alte mese si le pot savura chiar pe balcon. Snack barul de langa piscina serveste gustari usoare, sucuri proaspete si bauturi revigorante.Aristidis Garden se afla la 60 km de orasul Preveza si la 45 km de orasul Igoumenitsa si portul acestuia. Satul plin de viata Syvota este situat la 25 km, iar plaja cu nisip din Loutsa se gaseste la 24 km. Exista parcare privata gratuita la unitatea de cazare. 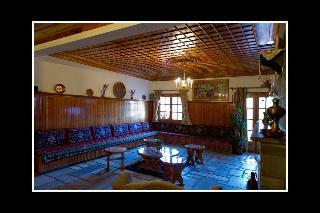 This hotel is conveniently located on the main street of the mountain village Kalambaka in northern Greece. The property, which boasts eighteen comfortable rooms with panoramic views of the Meteora rocks, is an ideal base for winter sport enthusiasts and nature lovers alike. Guests can start their day with a homemade breakfast and later stroll into the village to explore the shops or savour scrumptious traditional cuisine in the local tavernas. The breath-taking rocks provide the perfect backdrop to the property, which is located just 4 km from the historic Meteora Monasteries, a group of six monasteries perched upon natural sandstone rock pillars. Guests can also enjoy daytrips to nearby attractions in the region, including the ski resort of Pertouli, the mountain village of Elati and Plastira Lake. The friendly staff will be delighted to arrange for excursions or car rental. This hotel is situated in Serres city centre and is very convenient both for businessmen and city visitors. 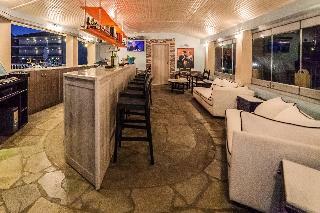 There are bars, restaurants, nightclubs and a bus stop located in the hotel's immediate vicinity. 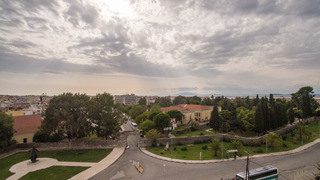 The nearest train station is 2 km away; the beach at Amfipolis is 55 km away; whilst Thessalonica is 85 km from the hotel.This air-conditioned hotel has 30 rooms and is in a neo-classical building that has been restored according to the modern specifications of hospitality. It is distinguished for its style and architecture. Facilities provided include a lobby with 24-hour reception and check-out services, hotel safe, lift access and room and laundry services.The rooms all come with an en suite bathroom with shower, bath and hairdryer. Further facilities to guarantee a comfortable stay include a TV, minibar, safe, air conditioning and a balcony or terrace. Every room has its own style with individual decorations. 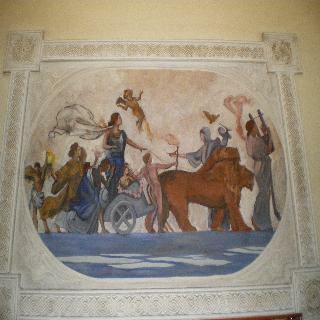 The indoor plasterwork, elaborate roof and classic furniture are some of the features that create a warm and individual atmosphere.The hotel provides a bed and breakfast service. Located in the small resort town of Loutra Ipatis, this hotel is just a 5-minute drive from the thermal springs of Ipati. The small family-run venue offers an elegant and cosy ambience that will attract all guests looking for a restful and tranquil vacation. Decorated in earthy tones the bright rooms come with everything needed for a comfortable stay, including modern bathrooms, TVs and a balcony overlooking the lush garden and Mount Iti. The delicious breakfast buffet can be enjoyed at the onsite restaurant and it is also the place where guests can sample traditional Greek or international dishes throughout the day. For the active types there is bicycle rental service and the area offer plenty of opportunities to Hike, cycle or try horse riding. Just 150 m from Skotina Beach, Sintrivanis Beach Studios & Apts features an outdoor pool and a children's playground. It offers studios and apartments that open to a balcony, while free WiFi is available in public areas.Enjoying mountain, garden and pool views, all accommodation types come with air conditioning and a satellite TV. They also have a kitchenette with cooking rings and a fridge, and a bathroom with a shower.Guests can enjoy local dishes at Sintrivanis' restaurant and drinks at the on-site bar. Various restaurants can be found in close distance.Katerini Town is approximately 30 km away, while Macedonia International Airport is at a distance of 110 km. Free private parking is possible on site. 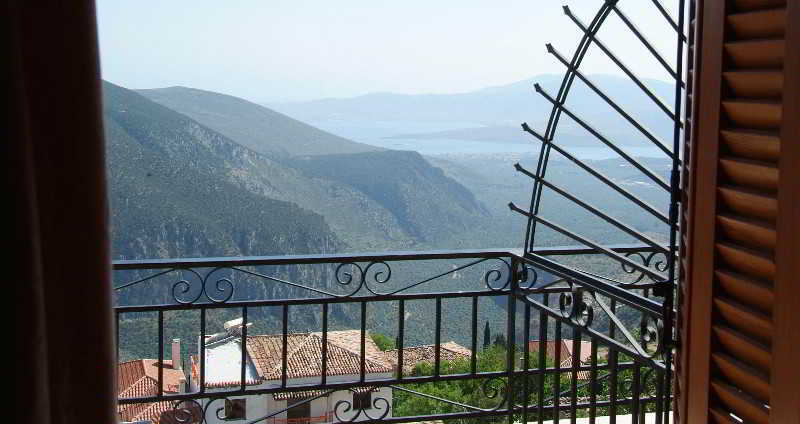 Situated in Karpenissi , this property offers an ideal place of rest and relaxation. The property consists of 104 rooms. This establishment consists of . Located in the city centre, the Hotel allows easy access to the city and all it has to offer. The Hotel is within easy reach of the city's main bus and train stations. The Hotel is just a stone's throw from the slopes. There is an on-site car park. Pets are allowed at this establishment. This property is situated in Fokida . Located in the city centre, the Hotel allows easy access to the city and all it has to offer. Guests can easily walk to the main bus and train stations. Guests will find numerous bus and metro stops within walking distance. The Hotel is a quick drive from the airport. The Hotel is just a stone's throw from the slopes. Guests will find the beach at just a few minutes from the property. The Hotel is located a few steps from the harbour. Guests may take advantage of the on-site car park. This establishment allows pets. Large pets are allowed at this establishment. 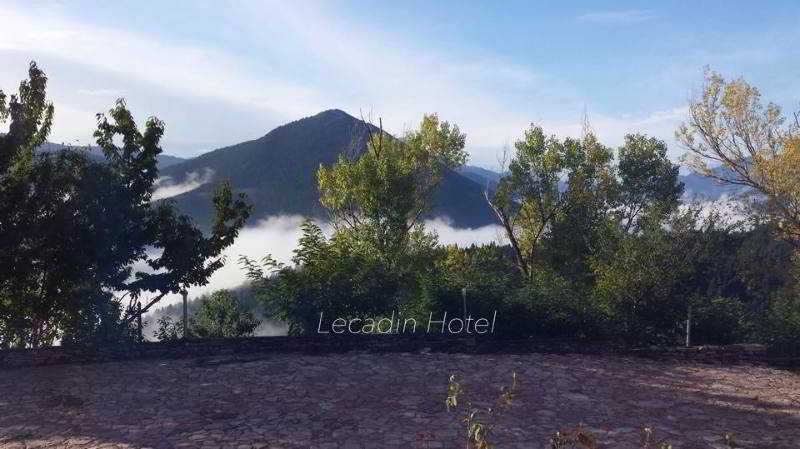 Bine 7.7 Booking.com Hotelul situat pe o panta acoperita de verdeata, printre maslini, se afla la doar 40 m de plaja unde este o taverna traditionala. In apropiere exista cateva obiective turistice: Castelul din Parga, orasul venetian Erimokastro si oracolul Necromanteion de la Ephyra. Plajele Sarakiniko si Valtos sunt, de asemenea, aproape de hotel. Incepand cu 01.01.2018 va fi introdusa taxa locala. In functie de clasificarea unitatii de cazare, aceasta variaza intre 0.5eur – 4eur/ camera/ noapte si se va achita de catre turisti la fata locului!